I've loved vintage for as long as I can remember. In my hometown of Elkhorn, Wisconsin, the flea market at the local fairgrounds quickly became my happy place when I was 13, and it still is today. I've always been drawn to objects that come with a story, asking the vendor where a piece was discovered and trying to picture its history. More and more, I'm seeing mature treasures co-mingle with modern elements, creating a look that is completely one-of-a-kind — from geometric ceramics on a midcentury shelf to antique artwork hung alongside framed prints found on Etsy. Whenever I see interiors with an old-school-meets-new-school aesthetic, they catch my eye. And it's a great approach for those who don't want to commit to top-to-bottom vintage (which can look antiquated in a hurry), or still want to buy trending pieces. 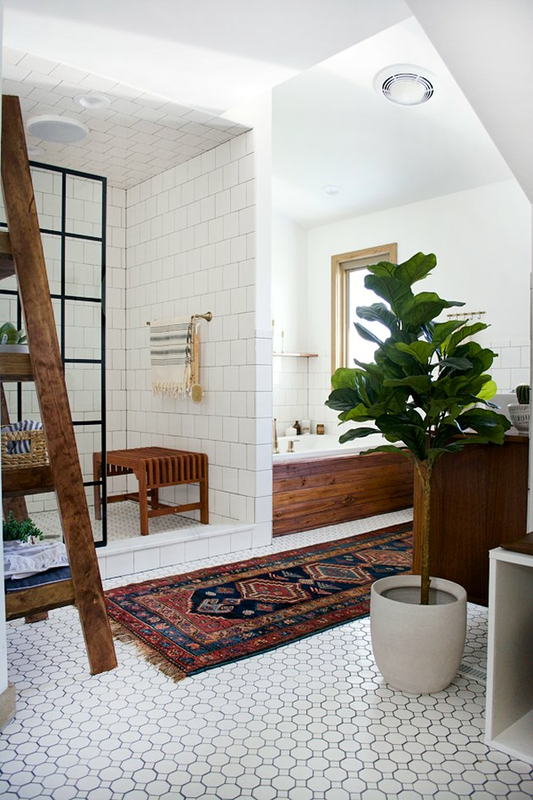 To help you combine the two looks, here are eight fresh and inventive ways to show off your vintage and modern finds in the same space. 1. Center your room's design around your vintage piece. You know that feeling — the one when you're walking through a thrift shop and you spot that piece? The vintage table, bar cart, or credenza that's eluded you for years? If it makes your heart go pitter-patter when you see it, take it home and make it the focus of the room. That's what Carrie of Dream Green DIY did with a bar cabinet she scored at an antique market. It looks flawless among modern pieces like a hip DIY wall hanging and a sleek, gold lamp. 2. Display a palette with patina. In any space, you can choose a combination of modern and vintage pieces that carry weathered hues and patinated finishes, as if the room has been lived in for decades. 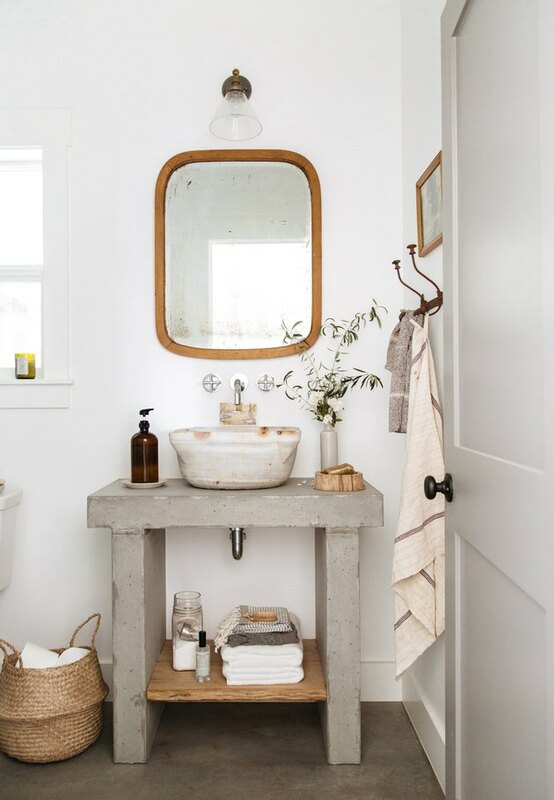 In a small bath belonging to designer Heather Bullard, all of the key elements have a well-loved appearance complete with nicks, rust, and intentional tarnishing. Symmetry is something that's often seen in modern designs, but it can be applied to your vintage goodies as well. This living room crafted by Emily Netz is perfectly balanced with its lineup of antique bottles gracing the mantel and side-by-side vintage artwork hanging above. 4. Weave in antique textiles. People are loving vintage rugs these days, ones that originate from Turkey, China, and everywhere in between. They always seem to look spot-on in a kitchen or bathroom, which is proven in this spa-worthy sanctuary belonging to Bre from Brepurposed. Those tile floors can be slippery, though, so just be sure to attach a rubber backing or carpet tape to keep it in place. 5. Refresh old materials with a coat of paint. 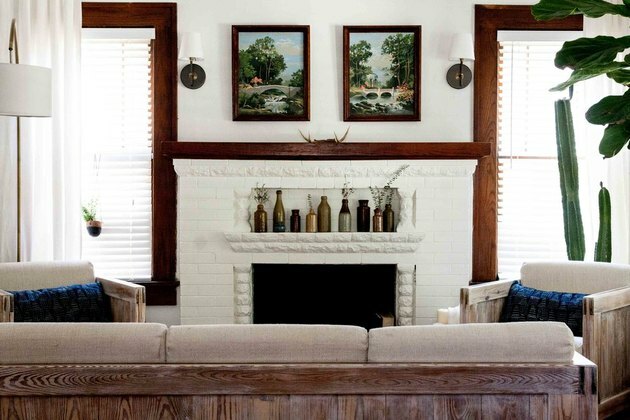 If you move into a home and have original brick walls or a retro fireplace (yay, you! ), you can make it come alive (and look a lot more modern) with a fresh coat of paint — white looks especially crisp. 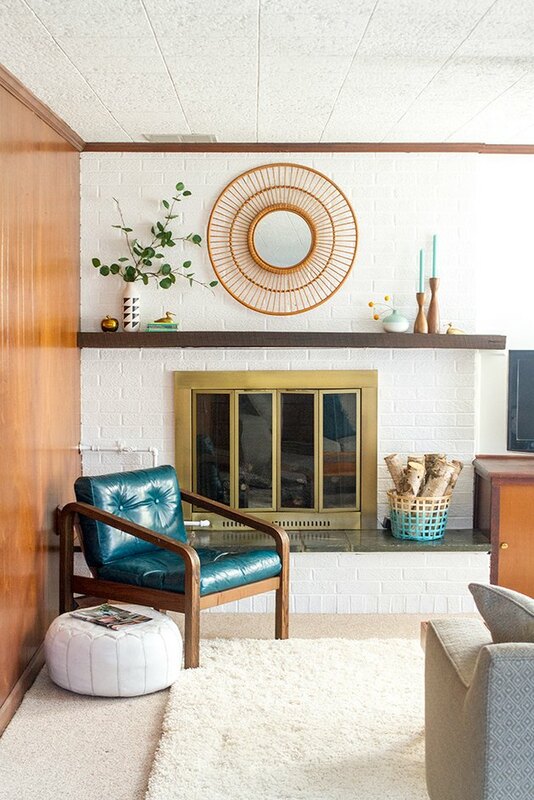 Here, Carrie of Dream Green DIY has painted her midcentury fireplace in a bright white, which provides the ideal backdrop for decorative objects. 6. Hang vintage light fixtures. Vintage light fixtures, particularly midcentury options, usually look right at home in a modern space. You can either find the fixtures by scouring your local vintage shops (don't forget to check the wiring) or you can purchase vintage-inspired lights that are brand-new. 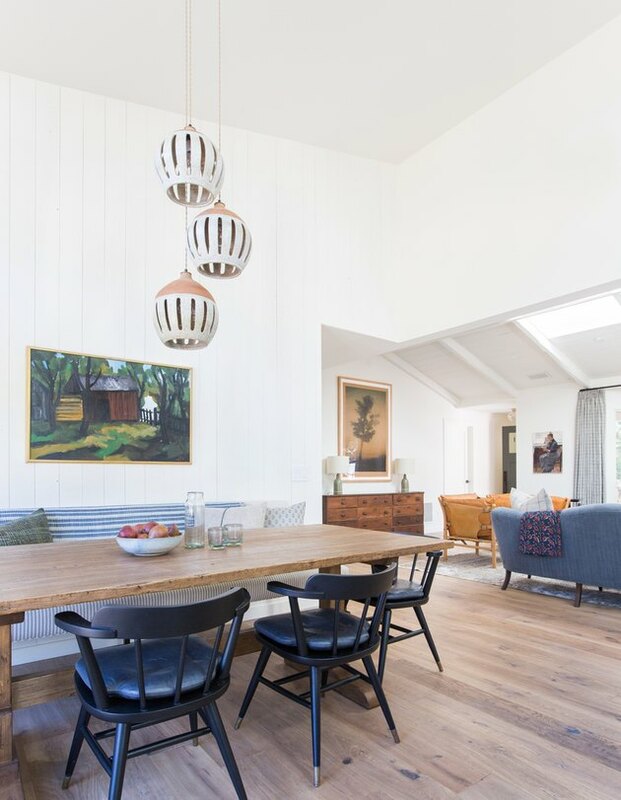 Hang the fixture over your dining room table like designer Amber Lewis did with these cool, throwback pendant lights. 7. Make a vintage piece the focal point. 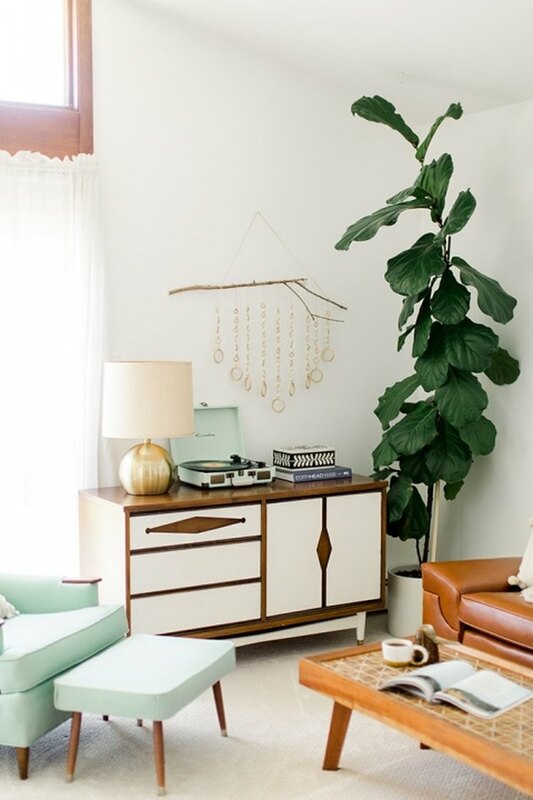 When you find a really killer vintage piece, let it shine to its fullest potential by allowing it to stand on its own without any additional decor around it. 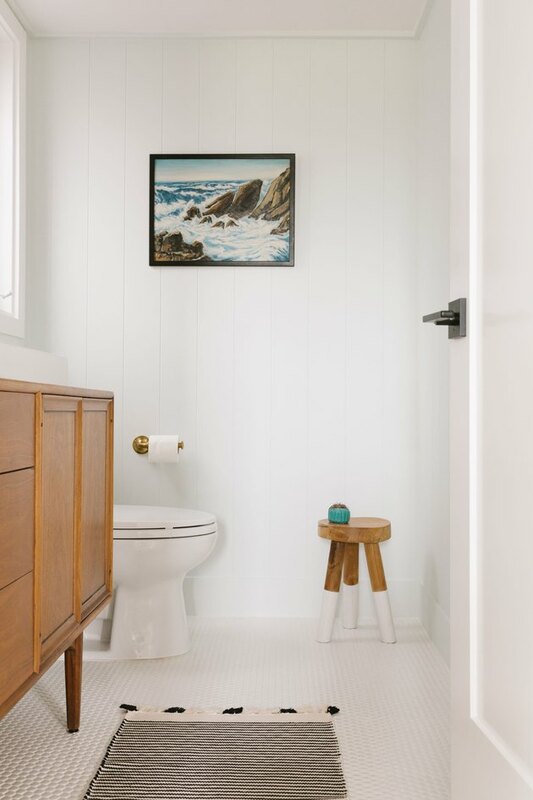 This vintage painting in a bathroom designed by Emily Henderson doesn't need any accompanying accents. 8. Design around original moldings and fixtures. The beauty of an old home is they usually come with lots of built-in character. While some things need to be replaced (shag carpeting or avocado appliances, anyone? ), there are others that will actually work very well in a modern space. 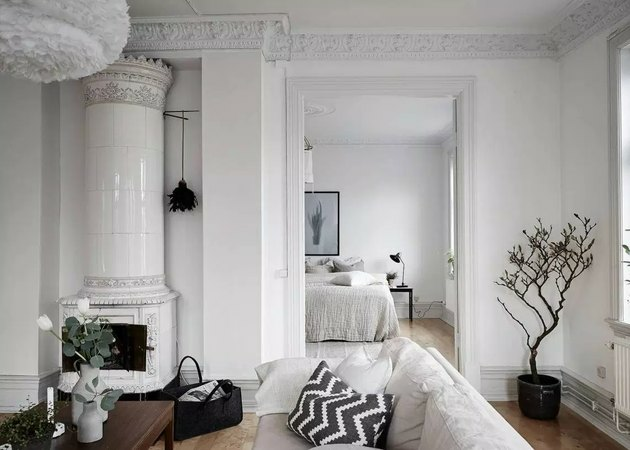 For example, you can keep the old-fashioned wood-burning fireplace and paint over the existing moldings, like in this modern living room captured by photographer Jonas Berg.